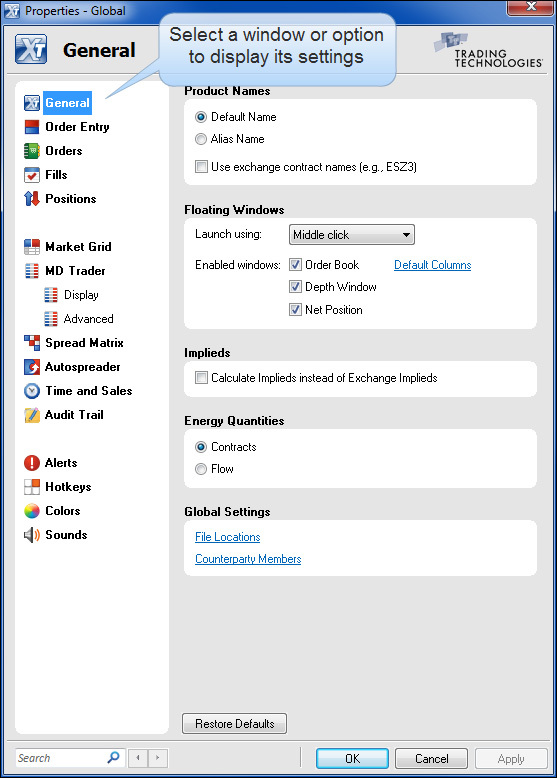 The Global Properties menu allows you to activate, deactivate, and customize various X_TRADER windows and options. Changes made to settings using the Global Properties menu impact all workspace settings, sound events, etc., and are specific to the user who is logged in. To search for a setting or keyword in all Properties menus and options, use the Search field at the bottom of the Properties window. Settings become the defaults for all new windows. For your custom changes to take effect, you must close and re-open trading windows. If another user logs in on the same machine, the property settings must be reset for that user.